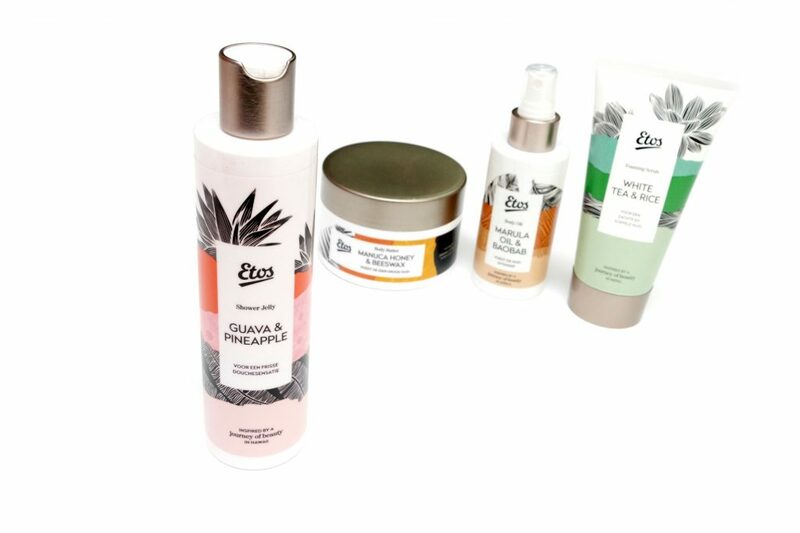 Etos is taking us for a trip around the world with the Journey of Beauty, a wellness line inspired by beauty rituals from Africa, Nepal, Hawaii and New-Zealand. The products of these lines contain high quality ingredients originating from these countries. 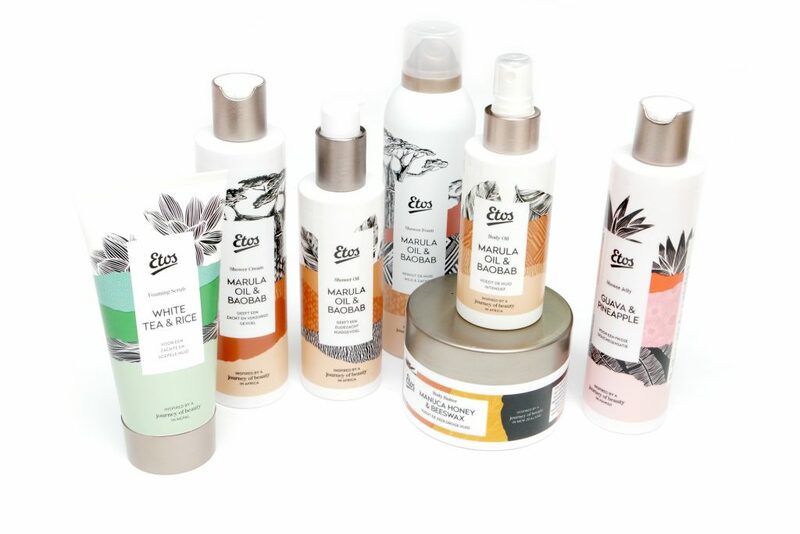 Instead of discussing the individual products in detail, I’m going to explain the scents and stories behind the Etos Journey of Beauty Wellness Lines in this post. 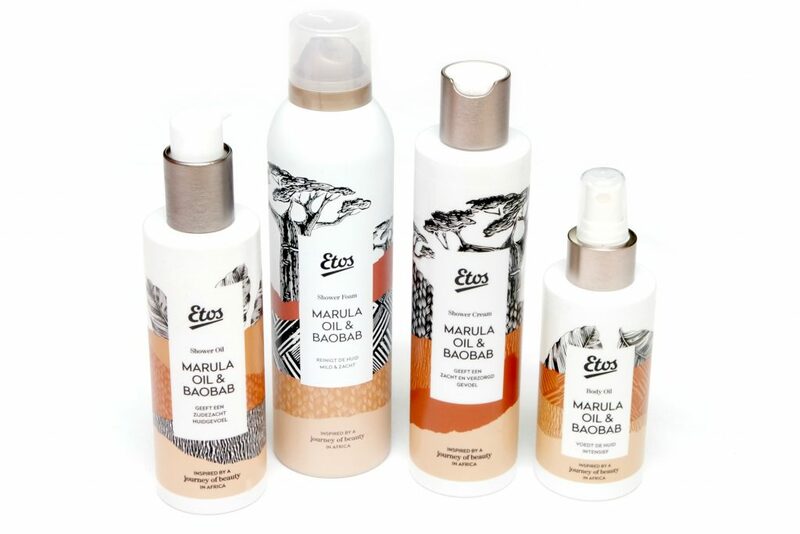 The Etos Journey of Beauty Marula Oil & Baobab line is inspired by the Baobab Tree, also known as the Tree of Life, which symbolizes Power, Beauty and Fertility in the African culture. The trees have a long lifespan and have the power to store a great amount of water, even in the driest areas. The tree’s fruits are rich in Vitamin C and the leaves and bark are often used for creating things such as rope, textiles, rubber and glue. All these making the tree very important for animals and native tribes. The ingredients that are featured in this line are Baobab and Marula Oil, known for their nourishing properties for a soft and nourished skin. The fragrance is described as a sunny, warm and sweet scent. The products of the Etos Journey of Beauty Marula Oil & Baobab are the Shower Oil (€3.99 Euro/200 mL), Shower Foam (€3.99 Euro/200 mL), Shower Cream (€3.29 Euro/250 mL) and the Body Oil (€4.49 Euro/150 mL). There’s something with me and this line that just isn’t meant to be. I normally love warm and sweet scents but this scent makes me nauseous. It’s too sweet and reminds me of winegums, something that I really don’t want to smell like. Also, it irks me that Etos is literally writing on their website that these lines have ingredients originating from the mentioned Countries. Yes, Nepal and New-Zealand are countries, but AFRICA IS A CONTINENT AND HAWAII IS AN U.S. STATE!! I can’t handle that for some reason and it has annoyed me ever since, so I guess me and this line are doomed for failure. The Etos Journey of Beauty White Tea & Rice line is inspired by Namasté, a rough translation from ancient Sanskrit shows the meaning “I bow to the divine within you”, which is a Hindu gesture used to respectfully greet others. 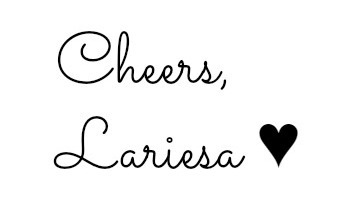 The gesture has a spiritual connection, an acknowledgment of the soul in one by the soul in another, often spoken and combined with a slight bow and hands pressed together close to the heart, palms touching and fingers pointing. The ingredients that are featured in this line are Nepalese White Tea and Rice, known for their vitalizing properties for a healthy and conditioned skin. The fragrance is described as a soft and sweet scent with a calming effect. 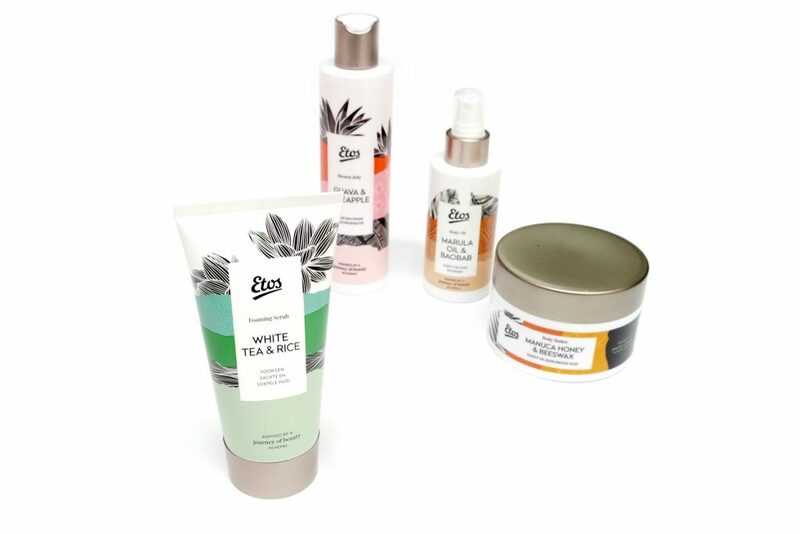 The products of the Etos Journey of Beauty White Tea & Rice are the Foaming Scrub (€3.49 Euro/150 mL), Shower Foam (€3.99 Euro/200 mL), Shower Oil (€3.99 Euro/200 mL) and the Body Serum (€4.99 Euro/150 mL). I really like the scent. It smells really creamy and soothing, like at a luxury spa. I’m definitely curious about the Shower Oil, that product really sounds divine! The Etos Journey of Beauty Guava & Pineapple line is inspired by another gesture, Aloha! This is an Hawaiian gesture that has many meanings, a way to say hi, to say goodbye, a way to express love and many more things, it’s a way of life, also known as “The Way of Aloha”. Aloha can be translated as “Joyfully sharing life“, the love, peace and compassion that goes with this life is something that the Hawaiian culture is known for. The ingredients that are featured in this line are Guava and Pineapple, two fruits known full with Vitamin C and Provitamin B5 and E to energize the skin. The fragrance is described as a tropical sweet and exotic scent. 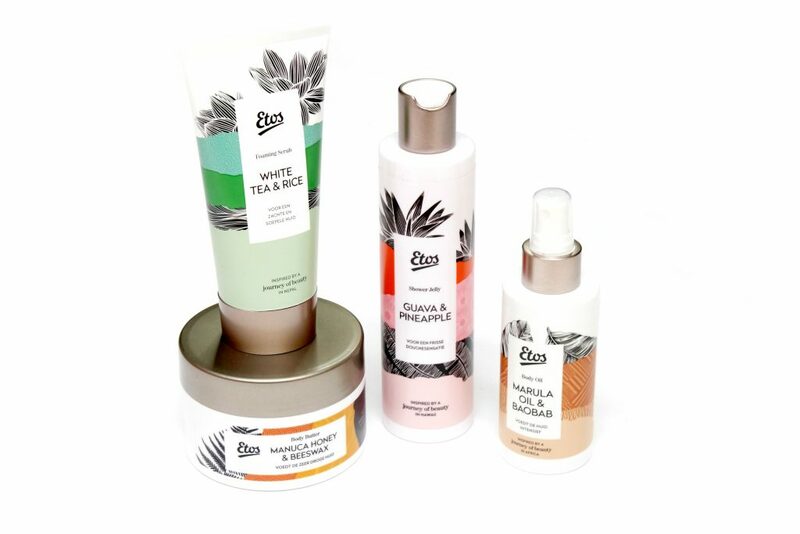 The products of the Etos Journey of Beauty Guava & Pineapple are the Shower Jelly (€3.29 Euro/250 mL), Shower Foam (€3.99 Euro/200 mL), Shower Oil (€3.99 Euro/200 mL) and the Body Lotion (€3.49 Euro/150 mL). Here’s the problem again, I think that Hawaii is considered a U.S. State, some Hawaiian natives consider the state as a country but “officially”, the United States itself is seen as a country and Hawaii as a state so no, this one also doesn’t make it to the cut. ANYWAYS, I normally dislike anything that has pineapple in it and I don’t like fruity scents, but I do like this one! 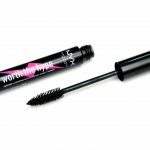 It smells really juicy like an exotic smoothie and I think the products would be great to use in the morning to wake up instantly due to the invigorating scent. It is really strong though so be careful if you’re sensitive to strong scents. 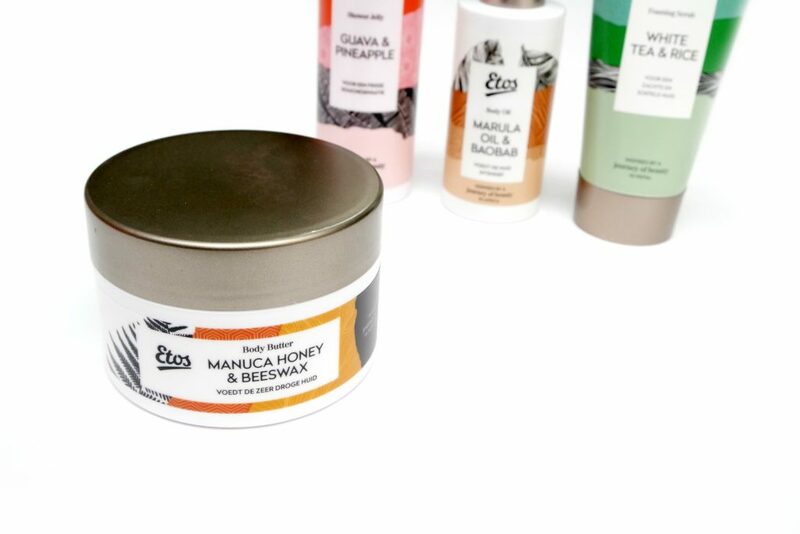 The Etos Journey of Beauty Manuca Honey & Beeswax line is inspired by the Māori, the native people of New-Zealand. The Māori honor nature with rituals such as Karakia, which are Māori incantations and prayers used to invoke spiritual guidance and protection. There ar several of these incantations like for welcoming the day and for sundown. The saying ‘Tihei mauri ora’ (sneeze of life, call to claim the right to speak) is all about showing the Māori life force. The ingredients that are featured in this line are Beeswax and Manoca Honey, known known for their softening and intensive nourishing properties on the skin. The fragrance is described as pure nature thanks to the soft honey scent. The products of the Etos Journey of Beauty Manuca Honey & Beeswax are the Body Butter (€4.99 Euro/250 mL), Shower Cream (€3.29 Euro/250 mL) and the Shower Scrub (€3.99 Euro/150 mL). I absolutely love this scent, it’s is definitely sweet like honey but is also nicely soft and warm. I notice myself wanting to smell my arm all the time when I’ve used the Body Butter so that shows that I can’t get enough of it. I think that the Etos Journey of Beauty Wellness Lines are a beautiful addition to their collection. Not only are the products quite affordable, the fragrances are in my opinion, unique and smell natural. The packaging design also makes them look beautiful, luxurious and perfect as a gift. My favorite line is Manuca Honey & Beeswax. Etos Journey of Beauty Wellness Lines available at the Etos stores. Which Etos Journey of Beauty Welness Line do you find most interesting? 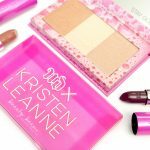 femketje recently posted…My Favourite Beauty (Online)Stores.